Publix – Southern Savers posted this week’s Publix grocery coupons. Highlights include Marie’s Dressing for free after college savings, Green Giant Valley Fresh Steamers Vegetables for $.79, Blue Diamond Almonds for $.59, and Speed Stick Anti-Perspirant or Deodorant for $.39. ShopRite – Living Rich With Coupons posted this week’s ShopRite coupons. Highlights include Smucker’s Topping for $.89, Ken’s Salad Dressing (must buy 3) for $.66 each after coupon, Mueller’s Elbow Macaroni for free after coupon, and Bailey’s Coffee Creamer for $.89. Safeway/Vons – Saving Cents with Sense shares this week’s Safeway/Vons coupon deals. Highlights include General Mills Cheerios 14 oz for $.99 ea after coupon, Gatorade 32 oz for $.83 (buy 10 get 2 free), and Kettle Potato Chips for $1.98 with store coupon. Albertsons – Save at Home Mommy share this week’s Albertsons coupons including Quaker Baked Breakfast Bars for free, mangos for $.49 each, Coppertone Sport SPF30 Sport for s low as $3.49 each when you buy 2, and Kraft Dressings for $.70 each when you buy 2. Winn Dixie – My Baton Rouge Mommy shares the Winn Dixie grocery deals. Highlights include Cole’s garlic or Big Texan Toast for $1.50 each, Sargento shredded cheese for $1.55, Right Guard TDS body wash for $1.30, and Hormel Chili for $.65. Stop & Shop – Look for this week’s Stop & Shop couponson Friday, the beginning of their sale cycle. Or shop by Thursday for this week’s sale, including super sweet corn for $.17, Keebler Cookies, Fudge Shoppe, E.L. Fudge, Vienna Fingers, Chips Deluxe, Sandies, Soft Batch, Famous Amos, or Right Bites for $.26 each after coupon, General Mills Cereal for $1.79 each after coupon, and Hunt’s Ketchup for $.30. Kroger – Faithful Provisions shares this week’s Kroger grocery coupons, including Popsicle Frozen Treats for free, Aquafresh Toothpaste for as low as free, Horizon Organic Milk (8 oz single) for $.45, and Voskos Greek Yogurt for $.66 when you buy 3. 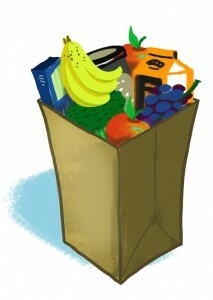 Wegman’s – This week’s Wegmans coupons will be up later today. Trader Joe’s – Healthy Life Deals shares this week’s Trader Joe’s deals, including Organic Free range Chicken Legs for $1.99 lb, Clif Mojo Bars for $.44, Tofurky Smoked Slices for $1.54, and Country Choice Old Fashion Oats for $1.29. Giant Eagle — This week’s Giant Eagle coupons and deals will be up tomorrow.